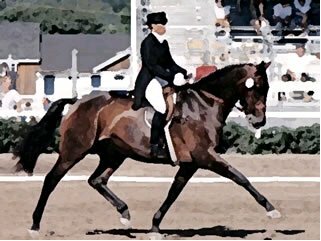 For your enjoyment & Horse Cultural education, we have put together multiple collections of equestrian artwork, each group with a central theme. Many are "Old Masters" paintings from the 1700 & 1800's, but also bronzes, marble statues & monuments, wood carvings, stained glass, celtic knotwork designs, modern metalwork, and more. The Horse has played an essential role throughout the World and throughout the history of mankind. We invite you to send in photos of artwork that have inspired you. Our beloved constant companion in the horse world. The tradition of horses, hounds, scarlet coats, & lovely countryside. School is out, time for these kids to have fun! Beautiful interlacing Celtic knotwork designs with a horse theme. The exquisite beauty of an equine athlete. 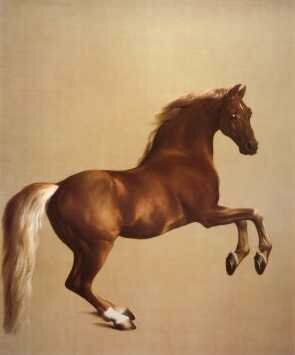 Prominent military and royal Equestrian portraits. Not exactly June brides, but these ladies are pretty classy! 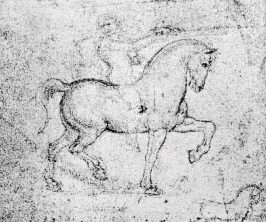 Images of equestrian artwork in various mediums from around the World. New York runway models have nothing on these beauties! and preparing this video for us. 2013 ADU 4th Annual Judging Seminar with Christopher Hess VIDEO* now available.